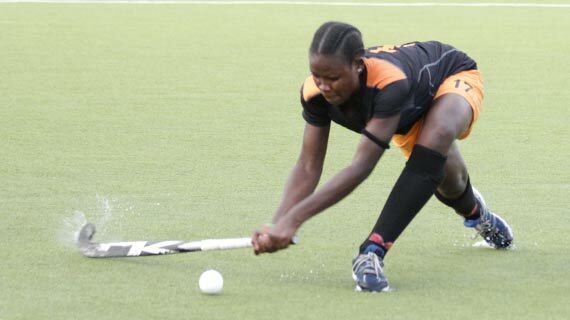 Orange Telkom women's hockey team will launch their 2015 Africa Cup of club Hockey championship campaign against Ghana Police on Sunday at the Olympic centre Stadium in Lusaka , Zambia. Other matches on card on Sunday in the men's category will see Lusaka Sharks take on Trustee, while champions Sharkia of Egypt play Huppo. The Jos openda coached side who are in pool 'A' will then tackle hosts Lusaka Sharks on Tuesday in the week long event. Commenting on the match against Ghana of Police Orange Telkom Jos Openda said, " Any team would love to begin the match on a positive note by winning and we are not any different and we look forward to a good start. We will play the best way we know how and hope that the results will favor us." The event that kicked off on Saturday saw the reigning Kenya Hockey Union ( KHU) national league champions have a rest day.